And here’s the URJ’s compilation of commentaries on this week’s Torah portion: Tzav at the URJ. If you pay attention to the emails you receive from the synagogue office, you may have noticed that this month some of us are engaging in an experiment with the mitzvah of blessing our food. We’re making an extra effort, during this lunar month of Adar 2, to remember to say a blessing over the foods we eat. At the end of the month, we’ll take stock of how the experiment felt. We’ll examine whether, and how, practicing this mitzvah of expressing gratitude for our food may have helped us to flourish as human beings. One of the core blessings over food is the blessing we’ll recite over our challah when this morning’s service is complete: the hamotzi. At first blush it appears to be pretty similar to all of the other food blessings, right? We bless God Who creates the fruit of the vine, the fruit of the tree, the fruit of the earth. The hamotzi is just like those. Isn’t it? Well — not quite. We say borei pri hagafen over wine or grape juice or grapes. We say borei pri ha-etz over apple juice or over apples. But the hamotzi doesn’t thank God for the grain of the field. The hamotzi blesses God Who brings forth bread from the earth. Bread does not grow on wheat stalks. Bread requires human effort. God causes the grain to grow, but in order for there to be bread someone has to harvest the grain, mill the grain into flour, mix it with water and a leavening agent, shape it, proof it, and bake it. Without God, we wouldn’t have the grain — but without human beings, the grain couldn’t become bread. God may indeed bring forth bread from the earth, as the poetic language of our blessing teaches, but the means through which God does that work is human hands. “The Torah of Adonai is perfect, restoring the soul,” says the psalmist. But if the Torah is perfect, how can it need to be completed? Maybe the problem lies in what we think perfection means. Look out our beautiful sanctuary windows at the sky. Would you say that the sky right now is perfect? I would. Or at least, I aspire to be someone who can always see perfection in the sky. It’s perfect whether it’s blue or grey, clear or cloudy. It’s perfect, and when it changes into something new, it will be perfect then too. Perfect doesn’t have to mean unchanging. Perfection can lie in the very continuity of change. And perfect doesn’t have to mean finished. Maybe what makes Torah most perfect is precisely that it’s not finished… until we read it and add our voices to the tapestry of interpretation. Maybe Torah in a vacuum isn’t perfect. Maybe Torah becomes perfect precisely when we commit ourselves to engaging with it, to spinning its fibers into beautiful tapestries, to grinding and mixing and baking its grain into nourishing bread. Torah is the raw material given to us by God, the grain of the field awaiting our contributions of effort and heart. Our task is to engage with those materials and make them into something new. This week we enter into the book of Vayikra, “And God Called” — known in English as Leviticus. This section of Torah is filled with the details of the ancient sacrificial system. It details the offerings our ancestors made before God: offerings in search of atonement or forgiveness, offerings of gratitude, wholeness offerings, elevation offerings. It describes the offering-up of bulls and goats, sheep and pigeons, elaborate breads and dishes of oil and flour. For many moderns, these are the most challenging portions in Torah from which to wrest meaning. Who among us can imagine communicating with God through the ritual slaughter of cattle and pigeons, or the burning of incense and fine meal? The word for the service the priests offered in the temple is avodah, from a root meaning “to serve.”(The same idea is embedded in our English word for what we’ve come here for this morning: “services.”) Today we seek to engage in avodah she-ba-lev, the “service of the heart” a.k.a. prayer. The sacrificial system worked for us two thousand years ago… and then when our circumstances changed, we found a new way to understand the meaning of avodah. Who knows how we’ll connect with God in another two thousand years? The only thing I hope I can say with certainty is that we will still be wrestling with the question. We will still be figuring out how to transform the raw stuff of Torah into bread that gives us the spiritual nourishment we need. This is the d’var Torah that Rabbi Rachel offered yesterday at CBI. This week we’re reading parashat Vayikra, the first portion in the book of Leviticus. And here’s the URJ’s compilation of commentaries on this week’s Torah portion: Vayikra at the URJ. I am a Rabbis Without Borders fellow, which gives me the opportunity to bring some neat things to CBI. One of the things I’m bringing to CBI this spring is a new project called The Flourishing Project. The Flourishing Project’s goal is to explore a simple question: How do mitzvot function, if at all, to help us live more flourishing lives? In looking at this question, our goal is to understand the lived experience of Jewish practice and ritual through the lens of Positive Psychology: Not what we’ve been told Jewish practice should do for us, but rather what it actually does for us. I’m inviting you to join me in participating in this experiment. Every Hebrew month, we will invite you to try on one Jewish practice and reflect on the impact, if any, of doing it regularly. Our first mitzvah is blessing before eating. 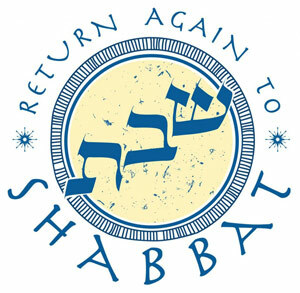 If you are interested in participating, we ask that you commit to regularly bless before eating for the entirety of the month of Adar II, which begins next week on Friday, March 11 and ends on Friday, April 8. We do not require a commitment to participate in the next month’s mitzvah. I’m attaching a letter which explains the Flourishing Project, and also contains a set of traditional blessings over food in case you choose to use the traditional liturgy. If you’re planning to participate, please complete this very short survey by Friday; you will be asked to complete a similar very short survey at the end of the month. Join me in helping Clal and Rabbis Without Borders figure out whether and how practicing mitzvot actually improves your life!